Travel Memories in a Snap! home with you, not just a memory card. Download it Now! only $9.95! WHEN TRAVELING YOU ONLY GET ONE CHANCE. MAKE IT COUNT! As a photographer, when you're traveling you'll find yourself in a once in a lifetime photographic moment at just about every turn. Will you leave that moment to chance, or will you ensure that every time you raise you camera you've given yourself the best opportunity to capture a photo that will stay with you forever? Snapn Travel is your fast-track to bring the emotion of your trip home with you, not just a memory card. 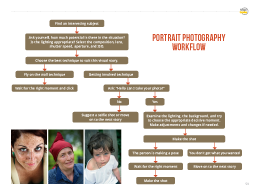 This mini-guide is perfect for helping you tackle the challenges of taken photos away from home. It’s a quick read, but don’t let its size fool you. Bursting with tips, tricks and techniques this guide will ensure the snaps you take on the road will stay with you for a lifetime! Check out all the details below and get a sneak peak of what you'll discover inside Snapn Travel. 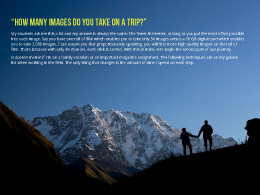 In this mini-guide we focus on all the important parts of travel photography to help you capture beautiful images of your trips away. From how to prepare for your trip, how to create emotional connection, right through to your daily workflow -- this guide has it all covered. 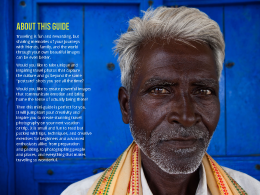 Ready to improve the quality of your travel photography? 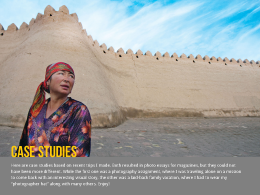 Oded Wagenstein is a travel photographer and author. He is a regular contributor to National Geographic Traveler magazine (Israeli edition), Getty Images and TimeOut magazine. He is also a photography lecturer (Google Campus), Director of Educational Development and a senior photography instructor at Galitz, Israel’s largest photography school. Oded would like to give special thanks to Nicholas Orloff for his assistance in editing this guide. Oded can be found online at www.odedwagen.com and on Facebook. Photographers who love capturing the world around you (near and far)! If you love taking pictures when out & about this is a great companion. If you’re not satisfied that Snapn Travel is helping your travel photography within 60 days, just let us know and we will refund your money. That’s how confident we are that this resource will help you improve your photos of your pets. What gear will I need for this eBook? 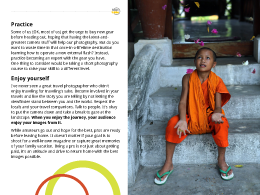 – While this guide deals mainly with DSLRs, if you don’t have one you can still achieve great shots. Can I read it on my iPad? – yes. This guide is a PDF and can be read on your computer or any other PDF reading device. To read it on your iPad simply download it to your computer and then upload it to iBooks (or any other PDF reading app). Got Questions or Needing Help? – If you have any problems with the purchase or download simply contact our friendly support staff support@snapndeals.com. 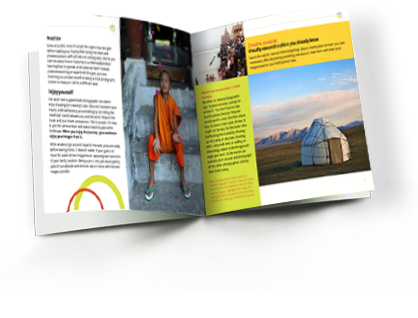 Please include the name of the eBook you are asking for support on as well as your PayPal email address if you have made a purchase. Capture and share the memories and emotions all you great adventures. See the creative opportunities of travel. Capture photos you'll hang on a wall not hide in a memory card. 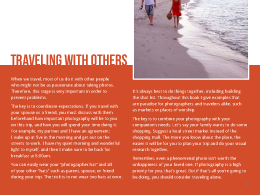 … Pick up a copy of Snapn Travel today.